Born and raised in Greenwich, Connecticut Kane was the son of Dr. and Mrs. David J. Kane. Dr. Kane was the Asst. Superintendent of Greenwich Public Schools, Commander USCG, President of “The Educational Oceanographic Foundation”, and real estate developer. Tim and his three siblings spent summers out on Martha’s Vineyard in a small beach cottage on the far western tip of the island. The love of the ocean began there. Summers were spent fishing, clamming, sailing and exploring the various island opportunities. In 1985 Tim pursued a long time dream of working in the Bering Sea. The adventure began with a 6000 mile two week drive to Kodiak Island, Alaska where he landed a job on a small fishing boat. His subsequent experience exploring the Aleutian Islands and Prince William Sound while chasing the summer salmon migration helped shape many of Tim’s future interests and pursuits. Tim’s professional career started in 1986 after graduating with an Economics Degree from the University of Maine. He was hired by Merrill Lynch (Real Estate & Relocation Division) in Norwalk, CT. Within the first year he was asked to represent the Merrill Lynch Branch at an EPA course on Radon testing and remediation. He then helped to create a policy on radon testing and remediation practices for homes being purchase by Merrill lynch during the corporate relocation process. During this tenure he formed an idea for the start of a new company that would be focused on environmental remediation services for homes involved in a real estate transaction. In 1988 Radon & Water Control Systems (RWCS) was launched with Kane acting as President and majority shareholder. RWCS had 50% – 100% annual sales growth for the next 5 years as the company expanded to offer services nationwide. 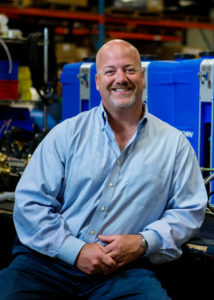 In 1992 a second company (BGC Technologies) was created to handle the development of new product innovations for the environmental contractor market. In 1995 Kane received the first of many patents for the invention of a residential water treatment system designed to remove radon from well water. This was a turning point in his career as he realized that product innovation was his calling.